Over the past few years, Korean beauty products have obtained a cult status in the international market. The success of Korean brands’ new inventions – the “cushion foundations,” for instance – inspire world’s major makeup brands and the term “K-Beauty” doesn’t merely refer to the use of Korean cosmetic products anymore. People find beauty secrets from the ways Koreans use certain products and such routinary habits directly or indirectly related to beauty are comprehensively referred as “K-Beauty,” bringing lifestyles and brands together. Although Korean lifestyles are infused in its makeup brands, each brand pursues different brand identity. While some of the “road shop” brands like Etude and The Face Shop release affordable and trend-chasing products for teenagers, some other brands experiment with ingredients and package designs to be the trend-setters. In the meantime, high-end brands advertise the brand itself rather than products in order to increase the brand loyalty. Each brand defers in the way it wants the customers to define its characteristics. As a result, brands’ marketing means, too, differ greatly. Such means to build up a brand identity had long been limited to traditional advertisements, media advertisements, or uses of different package designs. However, the new trend is taking Korean cosmetic brands to a rather tangible existence: the flagship stores. 3CE’s flagship store in Myeongdong, Seoul [Image in courtesy of 3CE]. What distinguishes beauty brands’ flagship stores from those of other categories is their indirect presentation of the products. Whereas an apparel brand’s flagship store hardly have any other purpose than to sell its products, the current trend in Korea shows that most of the cosmetic brands don’t bring the product sales to the primary purpose. Instead, these brands use flagship stores as spaces to bring out intangible elements – brand identities, to be specific – into presence. For instance, Innisfree’s flagship store in Pangyo consists of two distinguished floors. 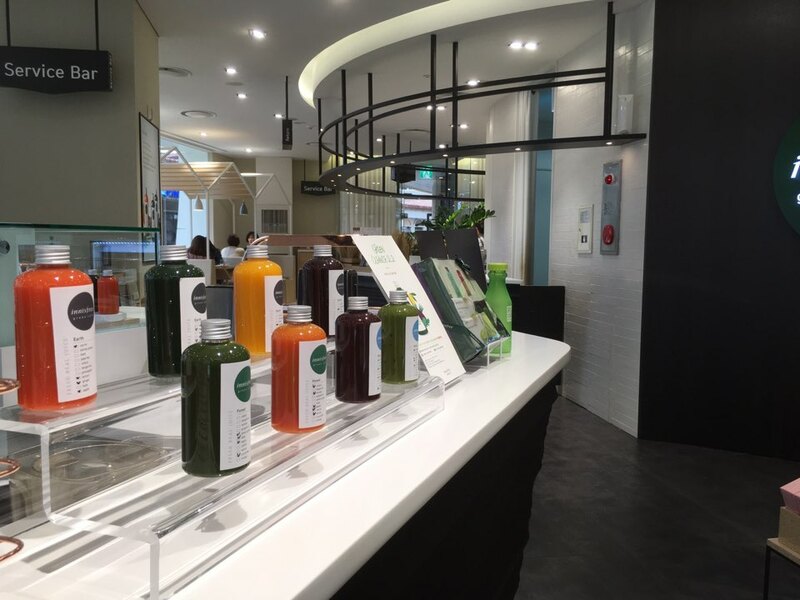 Customers can shop Innisfree’s products on the first floor, but most of them visit the location for the café located on the second floor. Innisfree’s flagship store in Panyo consists of two distinguished floors serving different purposes. 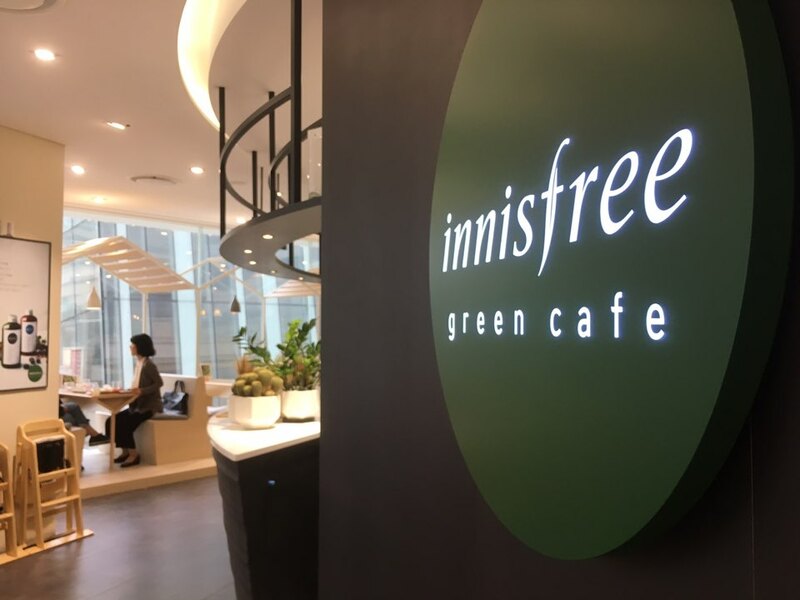 Innisfree’s “Green Café” draws hundreds of customers everyday. The café is famous for soufflé pancakes, pressed juices, and other Jeju-inspired desserts. As the brand’s concept has a close relationship with Jeju Island, where some of the product’s ingredients like organic green tea leaves are from, features derived from the island take a great part in building the atmosphere of the flagship store. In addition to the image of Jeju, Innisfree brings its ecologically friendly impressions forward. Such impression is brought into the presence in non-cosmetic products called “Green Life Products” available from the flagship store. The selection, comprised of mugs, handkerchiefs, eco-bags, and more, engages customers to use reusable items as much as possible. Throughout the five-story building, Sulwhasoo presents its brand identity by various means. “Heritage Room” on the first floor displays ingredients used in the products like a traditional Korean pharmacy. On the other side of the room, products are displayed with objects that imply Korean traditions. Currently, Sulhwasoo’s flagship store is holding an exhibition, presenting art pieces inspired by a Korean folklore. 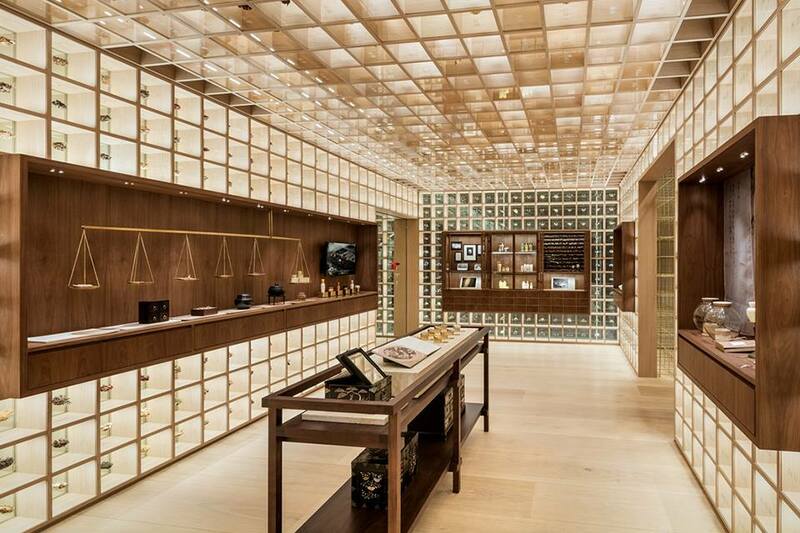 The flagship store uses art and interior designs to relate Korean traditions to luxuriousness, and those who visit the place imprints the brand with such impressions the place gives. Many other K-Beauty brands, too, enthusiastically utilize flagship stores as a tactic to construct and promote their brand identities. Although flagship stores share the fact that they serve to realize intangible values in substantial forms, they differ in appearances. 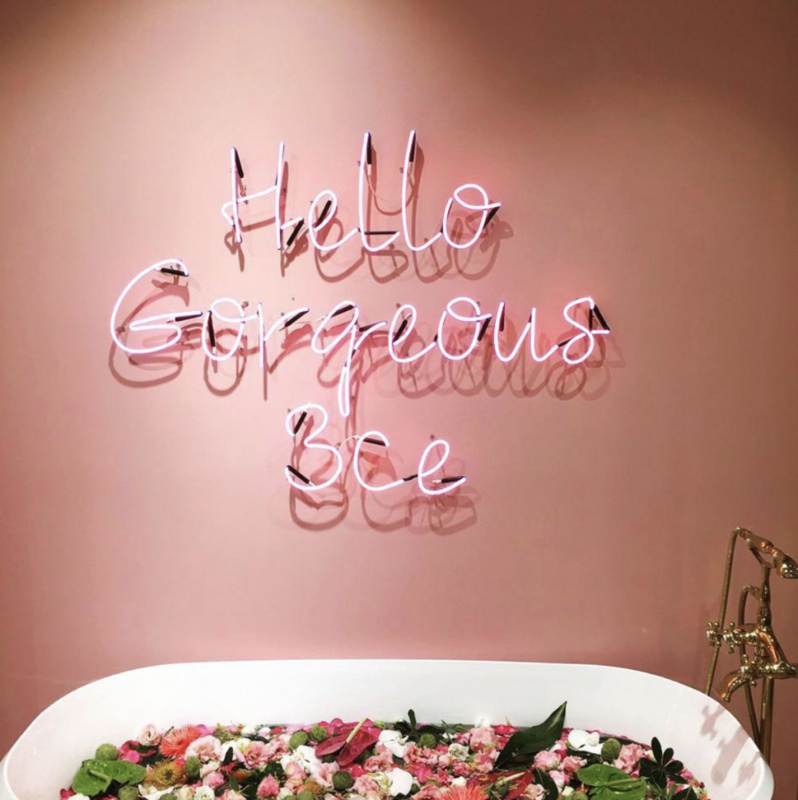 Whether it’s a café, a beauty salon, or a boutique, use of a flagship store is a meaningful approach as it incorporates cosmetics into people’s lifestyle.